Food for me is a celebration: three opportunities a day to sit, share and revel in nourishing myself and others with amazing ingredients. I have been overwhelmed by the positive reaction to my first book, A Modern Way To Eat. The world of social media has allowed me to be directly in contact with the wonderful people who have been cooking from it, and I've noticed that the stuff they've been getting excited about hasn't been the fancy cakes or showy dinners, but the easy weeknight recipes which have been cooked again and again. From what I've seen, there is a sense that people are more energised about cooking - we are reaping the benefits of home-cooked, vegetable-focused food. We have more connection to what we are eating and our relationships to what we eat seems to be becoming more balanced. Also, we feel genuinely happy and excited about the food we are putting on our tables. It's proof to me that food is a powerful tool for change and that what we eat can completely transform our outlook on life. From my experience working in homes, schools and kitchens, with kids, adults, parents and dinner ladies, I know for a fact that sitting down to a nourishing home-cooked meal every day can have a massive impact on our minds, bodies and overall happiness. It shouldn't just be something we do on a Sunday lunchtime or once in a blue moon. Cooking a homemade meal is the single most important thing we can do for our wellbeing because then we know exactly what is going into our bodies. It allows us to honour the people we are cooking for and it means that we also get a chance to sit around a table, eat, drink and really spend time with each other. The more I cook simply - easy pastas, quick hearty salads and all-in-one gratins - the more I realise that food doesn't need to be posh, complicated or made from far-flung ingredients to do us good. It's the quick-to-make everyday and weeknight meals that we eat on, say Tuesday and Wednesdays, that make a real difference in our lives. These meals are the 'bread and butter' of our eating week, and the most important ones to focus on. At the same time that we are busier than ever, there is also a movement towards balancing things out. There's a desire to treat our bodies well and to look after ourselves physically, mentally and spiritually. And an awful lot of this centres around the food we eat. There has been a real shift in the way we look at food. More people are conscious of what they're putting into their shopping baskets, more people are buying seasonally, and more people are cooking at home. For the first time in two generations, home-cooking is firmly back in fashion and ever-increasing numbers of people are actively choosing to eat a diet centred around vegetables at least a couple of days a week. From what I've seen, there is a sense that people are more energised about cooking - we are reaping the benefits of home-cooked, vegetable-focused food. We have more connection to what we are eating and our relationships to what we eat seems to be becoming more balanced. Also, we feel genuinely happy and excited about the food we are putting on our tables. It's proof to me that food is a powerful tool for change and that what we eat can transform our lives. Making vegetables the focus of our diet is widely considered to be the single most important thing we can do for our own health and for the health of the planet. Over the last couple of years, eating a plant-based diet has moved from the domain of brightly painted veggie cafes to proud centre-stage. 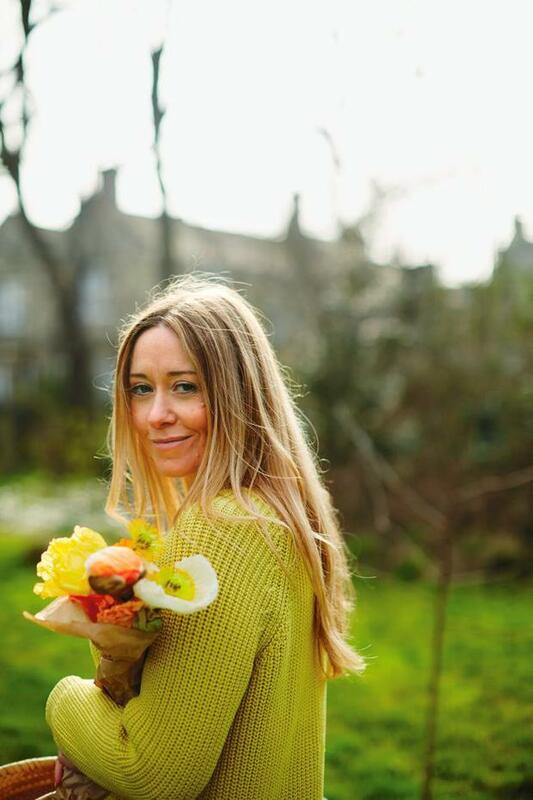 I am passionate about eating food that makes me feel good, and while I'll sometimes reach for a trashy chocolate bar or a stodgy pub roast (which is all part of being human and nothing to be ashamed of), I know that's not the food that I feel good eating. I want stand-out, delicious food that leaves me feeling energised, light, bright and satisfied. It's this intersection between wellness and deliciousness that I strive for with every plate of food I make and eat. And with all the talk of health and wellness in the food industry, I think this sweet spot is becoming ever more important. Wellness doesn't come at the expense of deliciousness. I welcome with open arms the new breadth of information and attention around eating well, and I am so thrilled that we are all putting more focus on what we put into our bodies, and on the connection between the food we eat and how vibrantly we live. There are lots of people out there ready to name superfoods that can help us lose weight, cure illness and make us more attractive and amazing. It sometimes feels to me as though all this over-the-top focus on nutrition and 'clean eating' has almost become the new, more acceptable way to be on a diet. And in a weird way, that isn't promoting a healthy attitude to food at all. It's important to make a commitment to eating well, but it's also important to be realistic. Cooking goodness-packed meals every night is going to have a huge impact on your health, and simply getting more vegetables into your diet is a great first step. You can worry about matcha and chia seeds later on. My all-time friend and kitchen babe Emily made these especially for me, as they have all my favourite things packed into a perky little pudding. A good vegetarian panna cotta is a hard thing to come by, but Emily has smashed the formula here. Just the right side of sweet rhubarb, hidden below barely set coconut, lime and vanilla custard. All vegan, dairy, refined sugar and, most importantly, gelatine free. This dessert will make your life better. Agar agar is a clever natural setting agent, made from seaweed, that you can use just like gelatine. Make sure it's fully dissolved before you pour it into the puddings or you may get a grainy texture. Get all your ingredients and equipment together. Put the coconut milk, coconut water, lime zest, maple syrup, vanilla bean paste and agar agar into a small saucepan and set aside. Finely slice the rhubarb and put it into a medium frying pan with a knob of coconut oil. Place over a medium heat, add the coconut sugar and cook until the rhubarb starts to break down a little. Add the juice of the lime and continue to cook for a further 6-8 minutes, or until you are left with a thick, almost jam-like consistency. Remove from the heat and leave to cool. Place the pan of coconut mixture over a medium heat and bring to the boil, without stirring. Once it's boiling, turn down the heat and simmer for 6 minutes, or until the agar agar has dissolved completely. Place 2 tablespoons of rhubarb in the bottom of each of four dariole moulds, coffee cups or small ceramic bowls. Pour the coconut mixture into a jug and slowly, so that you don't disturb the layer of rhubarb, pour it into your moulds. Chill in the fridge for at least 3 hours. When you're ready to serve, dip the bottom of each mould in boiling water and turn out onto plates. Life is busy, and even as someone who spends their life cooking, I often don't take as much time as I would like to make sure I am really well-nourished. Some weeks I am saintly; I get in a rhythm and make breakfasts, lunches and dinners to be proud of. Other weeks I don't do so well; it's in those weeks that I always try to make a pot of soup, and it's not always on a Sunday. I make it in my biggest pot so that we can have eight servings of easy goodness throughout the week. This soup has a simple, nourishing character to it. It's made from sweet potatoes and squash, which are good sources of the kind of carbohydrates our bodies love, and are packed with beta-carotene and vitamins too. I pair them with fennel seeds, which help with digestion, and some chilli to boost the metabolism and warm. From one soup there are a million things you can do. I find it difficult to eat the same thing night after night, so I use the soup as the base for a few different meals, adding different toppings and extras each night to make it seem new. Below are a few ideas of how to make one pot of soup into lots of different dinners. Fill and boil a kettle and get all your ingredients together. Get your biggest pot out - if you don't have a big enough pot, two smaller ones will do. Wash and finely slice the leek, and finely slice the onion, carrots and celery. Heat a large pan on a medium heat and add a little olive or coconut oil. Once the pan is hot, add the chopped veg and cook for 10-15 minutes, until soft and sweet. Meanwhile, peel the sweet potatoes and chop into large chunks. Deseed the squash and roughly chop into similar-size chunks (I leave the skin on, but if you like you could peel this too). Once the vegetables are soft and smelling good, add the sweet potatoes, squash and spices, along with 2 litres of hot water from the kettle and the veg stock powder or cube. Bring to the boil, then turn down to a simmer and cook for 30-40 minutes, until the vegetables are soft and falling apart, topping up with a little hot water from the kettle if it starts to look a little thick. I cool the lot and store it in the fridge or freezer until I'm hungry. I store it all without blitzing - I like to eat it both silky smooth and with a more stew-like texture, so I warm and blitz it in portions as I need. * Whizzed until smooth, topped with a quick basil oil and served with good bread. * Stew-style, with some cannellini beans added while warming and topped with crispy fried thyme breadcrumbs and red chilli. * Half whizzed, warmed and served on brown rice with chopped chilli, coriander, lime zest and a spoonful of yoghurt. * Stew-style, with some smoked paprika stirred in while warming, and topped with broken corn tortillas, red chilli and some little bits of avocado. This is a very quick and insanely good version of a ratatouille, which was classic in my house growing up. I use the grill instead of the oven to cook the courgettes quickly and to impart maximum sweet smoky flavour. I eat this on its own with salad and some quinoa or bread, but if you want to make it a hearty meal you could add some grilled halloumi or baked ricotta. Leftovers are amazing in sandwiches or an omelette. Preheat your grill to high and get all your ingredients and equipment together. For this recipe it really speeds things up to have a food processor with a grating attachment. If not, a box grater will do. Grate the courgettes then scatter evenly on a baking tray, season with salt and pepper, drizzle with a little oil and place under the grill to cook and char for about 20 minutes, turning every couple of minutes. Meanwhile, put a frying pan on a medium heat. Thinly slice the red onion and add it to the pan with a splash of olive oil and the thyme leaves. Cook for 5 minutes, until soft and sweet. Finely chop the red peppers and tomatoes, and finely slice the garlic. Once the onions are browned, add them to the tray of courgettes with the peppers, tomatoes and garlic, and continue to cook and brown, turning every 5 minutes, for a further 10-15 minutes. Put the frying pan back on a high heat and add a little more olive oil. Add the chickpeas, a good pinch of salt and pepper and the zest of the lemon, and cook until the chickpeas are crisped around the edges. This will take about 10 minutes, and you'll need to keep tossing the chickpeas in the pan. Once the courgette mixture is softened and sweet, and charred in places, scatter over the chickpeas. Serve with some lemon-dressed green leaves. Two things seem to happen around the same day in late summer. I start wearing socks and I stop eating salads. When I say I stop, I mean I stop being able to find them a satisfying meal, not that I don't let a single piece of rocket pass my lips until the sun comes out again. This salad is the exception. It's pretty much all raw and flavour-packed but it comes with such a feeling of autumn that I relish it even when the woolly hats come out. I use a variety of different-coloured carrots and beetroots to keep things interesting. Search them out if you can - they make this salad incredibly beautiful. Serves 4 as a main dish or 6 as part of a meal. Get all your ingredients together. Peel, chop and shred all the vegetables and the pear as thinly as you can, making sure to shred the greens or lettuce especially thinly; a mandolin may be useful here, but a sharp knife will do just as well. Put a sheet of greaseproof paper on a small tray or a plate, then put the nuts into a frying pan. Toast briefly, then add the seeds and toast until they smell toasted and are starting to brown. Add the maple syrup and a pinch of salt and stir, then take off the heat, tip on to the greaseproof and leave to cool. Mix all the dressing ingredients in a little jug. Put all the shredded veg into a bowl, season with salt and pepper, pour over the dressing and mix well. Shave over the pecorino, if using, and scatter over the nuts and seeds. Serve with flatbreads, and a crumbling of feta or some torn mozzarella for a main meal.